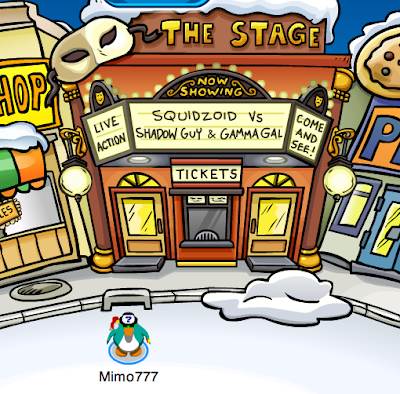 Club Penguin Cheats by Mimo777 Club Penguin Cheats by Mimo777: Club Penguin Squidzoid vs. Shadow Guy & Gamma Girl! Club Penguin Squidzoid vs. Shadow Guy & Gamma Girl! Wha? Not one cheat! Wassup wit dat? I like this play! It's my favorite. The front page of the catalog is really awesome!! It's not my favorite play but it's still a good one. I wish The quest for the golden puffle would come back. I watched Indiana Jones the other day and I'm in DA MOOD! Grrr! I can't believe they don't have the black mask! Or do they...??? 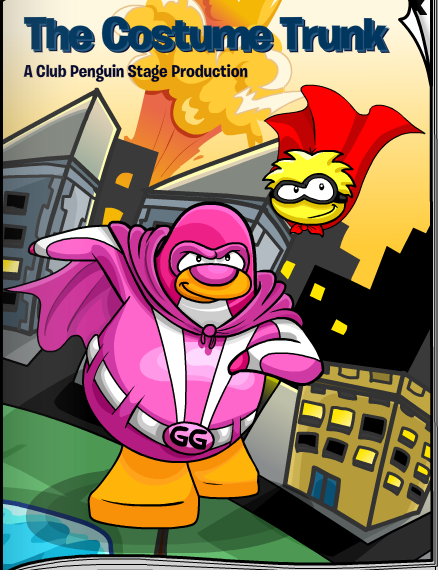 I love this BEST PLAY EVA!